“Delivery Terms” means the terms and conditions that regulate the sale of services and products of the members of the Association of the Estonian Printing and Packaging Industry and the rights and obligations of the Parties. “Contractors” means the AS Pajo. “Clients” means natural and legal persons commissioning works, products and services from the AS Pajo. “Party” or “Parties” means the Contractor or the Client individually or the Contractor and the Client collectively. “Offer” means an offer within the meaning of the Law of Obligations Act. An offer is a proposal to enter into a contract in a manner which is sufficiently defined and which indicates the intention of the offeror to be legally bound by the contract to be entered into if the proposal is accepted. “Order” means an acceptance within the meaning of the Law of Obligations Act. An acceptance is assent to enter into a contract indicated by a direct declaration of intent or by an act. Unless otherwise provided in the contract entered into between the Client and the Contractor, the Client and the Contractor shall be guided by the terms and conditions laid down herein. In the event of conflict between the Delivery Terms and any special agreements, the provisions of the special agreement shall prevail. An agreement whereby the Parties derogate from the provisions set out in the Delivery Terms shall be entered into in writing or in a format which can be reproduced in writing. A failure to comply with this formal requirement shall make the corresponding agreement null and void. 2.1. An Offer shall be made in a format which can be reproduced in writing. An Offer shall be valid for 30 days from the day on which it was made, unless otherwise specified in the offer. 2.2. A reply to the Offer containing any additions, restrictions or proposals shall not be binding on the Contractor; any such reply shall be deemed to be a counteroffer made by the Client. 2.3. The acceptance of the Offer, i.e. the Order, shall be sent by the Client to the Contractor in a format which can be reproduced in writing. 2.4. If models or samples are commissioned from the Contractor over and above the usual Offer, the Client is obliged to reimburse the Contractor for the expenses incurred in connection therewith (in accordance with the price list or the estimate for the works) even if the Client cancels the Order. 2.5. The content of the Offer is confidential and the Parties do not have the right to use it to their own advantage for any other purposes or to disclose it to third parties. 2.6. Any proposals, drawings, models or other preparatory materials accompanying the Offer shall be the property of the Party and the other Party does not have the right to use them to its own advantage for any other purposes or to disclose them to third parties (unless a subcontractor is required for the performance of the Works). 2.7. After the Offer has been accepted, the contract between the Parties is deemed to have been entered into. As regards the terms and conditions not contained in the Offer, the Parties shall be guided by these Delivery Terms unless agreed otherwise. 2.8. The Offer shall contain the price and payment terms. The Offer shall specify whether the price is inclusive or exclusive of VAT. The Offer shall set out the deadline for completing the Works as well as the delivery and storage terms. 2.9. The Contractor has the right to increase the agreed price to cover justified additional expenses if the Client has been promptly notified thereof and has not immediately objected to those additional expenses. 2.10. Unless the Parties agree otherwise, the Client shall organise the transportation of the Works and cover the transportation and storage expenses. 3.1. As regards the performance of the Works, the Parties shall be guided by the relevant provisions of the Law of Obligations Act. 3.2. The Client is obliged to accept the Works at the agreed time and place. If the Client breaches the said obligation, the Contractor has the right to request reimbursement for the relevant expenses. If the Client does not accept the Works after the expiry of the agreed deadline for more than 90 calendar days, the Contractor has the right to dispose of the Works and demand compensation for damage from the Client. 3.3. The Works shall be submitted and accepted (except in the case specified in clause 3.2) by means of signing the acceptance report or the accompanying document by the Parties. The Works are deemed to have been submitted to the Client even if the Client has not accepted the Works or has not signed the acceptance report/accompanying documents and 5 days have elapsed from the agreed deadline for accepting the Works. 4.1. The Parties shall be liable for direct documented damage caused to each other by defective performance of the Contract. The Parties shall not be liable for indirect damage caused to each other (e.g. lost profits, disrupted economic activities, etc.). 4.2. The Parties shall make their complaints to each other in writing sending them to the address specified in the contract or, if no address is specified in the contract, to the address specified in the register. A complaint may also be emailed to the email address specified in the contract. In the event of a dispute, the person making the complaint shall prove the filing of the complaint. Complaints relating to the quality of the Works shall be filed by the Client no later than within 7 seven days of acceptance of the Works or of them being deemed accepted in accordance with clause 3.3 hereof. 4.3. The Works inconsistent with the terms and conditions of the contract shall be returned by the Client to the Contractor by agreement between the Parties or at the request of the Contractor within 14 days of acceptance of the Works. The Works to be returned shall be submitted to the Contractor under an instrument (hereinafter “Instrument of Return”) that shall specify the reason for return and shall be signed by the Parties. The signing of the Instrument of Return shall not be deemed to mean that the Contractor admits the defects in the Works. If the Contractor does not agree with the Client’s complaint, the Contractor shall notify the Client thereof within three days of signing the Instrument of Return. In such a case the Parties shall agree on how to settle the dispute in accordance with clause 4.5. 4.4. The Contractor shall not be liable for non-compliance of the Works with the contractual terms and conditions if such non-compliance occurs due to defective materials sent by or unclear directions given by the Client. Minor deviations from the outcome of the Works agreed by the Parties shall not give the Client the right to withdraw from or cancel the Contract. 4.5. If the Contractor does not agree with the Client’s complaint as regards non-compliance of the Works, the Parties shall commission an expert opinion from an independent expert (the Expert Committee of the AEPPI shall be consulted and its composition shall be acceptable to both Parties). The expenses relating to the expert assessment shall be covered by the Party which loses the debate. The expert opinion shall be final and binding on Parties and shall not be challenged. 4.6. If it is not possible to settle the differences between the Contractor and the Parties, such differences shall be resolved by the court. 5.1. A breach by the Party of the obligations assumed hereunder shall be excusable if the breach occurred for reasons of force majeure. Force majeure refers to an event beyond the control of the Party if the Party could not have been reasonably expected to take it into account at the time of entry into the contract or prevent it or overcome this adverse event or its consequences. The Parties understand force majeure to include strikes, work stoppages, fire and other impediments. 5.2. The Party whose activities are hindered by force majeure is obliged to notify the other Party thereof in writing at the earliest opportunity. 6.1. If the Contractor cannot meet the deadline stipulated in the contract due to the shortage of workforce or raw materials, breakdown of the machinery or any other similar impediment which it could not foresee at the time of entering into the contract, the Contractor shall immediately notify the Client thereof. In this case, the Client has the right to withdraw from the contract within 5 working days of receipt of the corresponding notice. If the Client does not withdraw from the contract, the Parties shall agree on a new term or the term of the Contract shall be extended automatically by the period during which the impediment existed. 6.2. If the impediment specified in clause 6.1 makes the performance of the contract unreasonably burdensome or costly for the Contractor, the Contractor has the right to withdraw from the contract. The Contractor shall notify the Client of its withdrawal from the contract in the manner stipulated in clause 4.2 of the Delivery Terms. In such a case, the Client shall not have the right to demand compensation for the damage suffered, and the Contractor undertakes to return to the Client all the materials provided to the Contractor for the performance of the Works. If this is not possible, the Contractor shall reimburse the Client for the cost of the materials. 6.3. If the Work is a publication, the actual edition size may differ from the originally agreed size by up to 2%. Payment for the difference between the actual and the agreed edition size shall be made in accordance with the terms specified in the Offer. Non-compliance of certain isolated copies shall not result in the entire edition being deemed non-compliant. 7.1. The Parties shall agree on the price of the Works in the Offer. Unless otherwise specified in the Offer, the Contractor shall submit to the Client, along with the report on acceptance of the Works, an invoice specifying the agreed payment period or, in the absence of any agreement, with the payment period determined by the Contractor. 7.2. The Client shall pay for the Works in the manner and under the conditions agreed by the Parties. If the Contractor asks the Client to pay the price in part or in full as a prepayment, this shall be specified in the Offer. If the payment terms are not specified in the Offer, they shall be agreed separately. Unless otherwise specified in the Offer, the Contractor has the right to demand, in the event of a delayed payment, a late fee of 0.25% per day for each calendar day of delay. If a payment is delayed for more than 15 calendar days, the Contractor has the right to demand and the Client is obliged to pay the late fee at the rate of 0.5% of the amount overdue for each calendar day of delay. Any debt shall be settled in the following order: first any fines and expenses, then the late fee and finally the main debt. 7.3. If the Parties have agreed on a prepayment or instalments, the ownership of the Works shall remain with the Contractor until the Works have been paid in full. To secure the payment, the Contractor shall have a lien over the Client’s movables (models, materials) which are in the Contractor’s possession. 7.4. If the Client delays the payment of the invoice for more than 30 days, the Contractor has the right to assign the claim against the Client to third parties. The Client is obliged to cover any expenses relating to the collection of the debt. 7.5. The performance of the Client’s obligations shall be secured with the entire property of the Client, including any property that may originate in the future. 8.1. The work equipment, computer programmes, printing plates, etc. acquired by the Contractor to perform the Works and achieve interim results shall be the property of the Contractor and the ownership thereof shall not be transferred to the Client upon submission of the Works. 8.2. The risk of accidental loss of and product liability for the Works shall be transferred to the Client upon submission of the Works. The time of submission shall be the time when the Client or any person authorised by the Client accepts or should have accepted the works in accordance with the contract. The ownership of the Works shall be transferred to the Contractor when the agreed price has been paid in full by the Client (including any possible late fees and storage expenses), unless the Parties have agreed otherwise. 8.3. The Client shall be responsible for making sure that, on the part of the Client, third party rights are not violated in connection with the performance of the Works. 8.4. The materials provided to the Contractor by the Client for performing the Works shall be the property of the Client. The materials that were not used by the Contractor directly for the performance of the Works shall be returned by the Contractor to the Client after the submission of the Works (except in the case specified in clause 7.3 hereof). If the Client wants the Contractor to insure the said materials, the Contractor undertakes to do so provided that the Client covers the insurance expenses. 9.1. 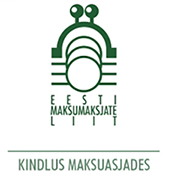 If the legislation of the Republic of Estonia prescribes mandatory delivery of single copies of specific publications (hereinafter “Deposited Copies”) to libraries or other similar institutions, the Contractor shall make the Deposited Copies at the expense of the Client in addition to the edition specified in the contract and shall send them at the Client’s expense to the relevant institution. The price of making Deposited Copies is specified in the Contactor’s Offer. 9.2. It shall be the Client’s duty to assign to the relevant institutions the initial material (printing file) of the competed Works as prescribed by the legislation of the Republic of Estonia, unless the Parties have agreed otherwise.